Whether it’s in our full-service facility located near Allentown, PA, or at your site with our cellular and laptop equipped mobile diesel repair service, we will make it happen. We provide diesel service and repair all throughout Pennsylvania, New Jersey, Delaware, Maryland, and New York. Our factory trained and certified diesel engine repair technicians receive continuing education on both mechanical and electronic engines and are proficient at diesel engine troubleshooting in order to find the correct solution. 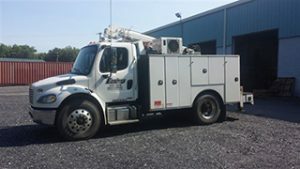 Our diesel engine repair services and sales company offers a very unique and special warranty program for our customer. With our experience and expertise, our diesel repair shop’s warranty program is one of the best in the business. We have confidence in our ability to produce quality workmanship at affordable prices while prioritizing and solving problems, meeting time obligations, and achieving our stated cost objectives. Our top priority is ensuring that we work together with our clients to ensure that all of their needs are met. Here at Engines Inc., we emphasize customer service. We like to make sure that every job that we take on is completed in a timely manner, with little to no hassel, at an agreed upon price that will not break the bank. Full-Service Facility You Can Trust! Our test cells include an 800 horsepower chassis dynomometer, a 500 horsepower engine dynomometer, and an 1800 horsepower engine dynomometer. We are an authorized warranty diesel engine repair Service center for Cummins (full coverage), Deutz, Kohler, Detroit Diesel, John Deere, and Scania. 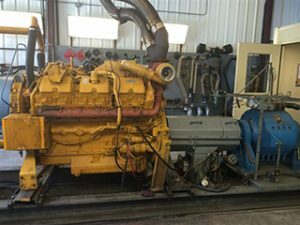 Check out the diesel engines we have for sale. Feel free to reach out to us either by email or over the phone with any questions that you may have for us!